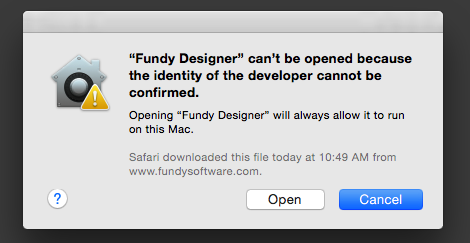 Sometimes when you try to download and install Fundy Designer®, you will get a message that says it can't be opened because it is from an unidentified developer. 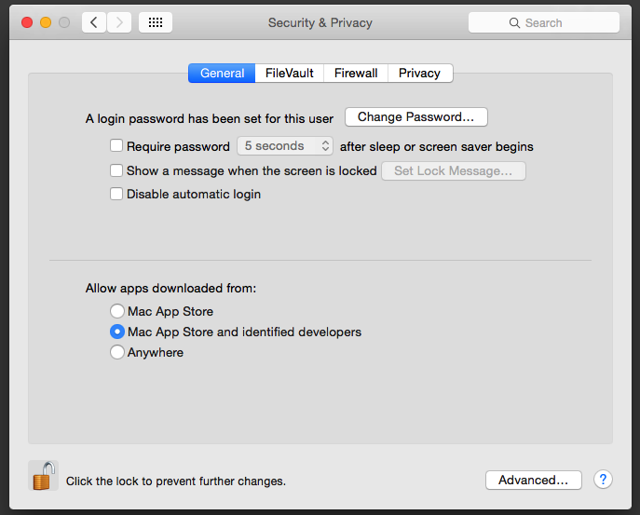 This is because your security preferences will only allow the installation of apps from the Mac App Store and identified developers. Apple has changed the security settings to only allow installation of apps from the Mac App Store and identified developers. To change this go to System Preferences > Security & Privacy. Allow apps downloaded from: Mac App Store and identified developers. 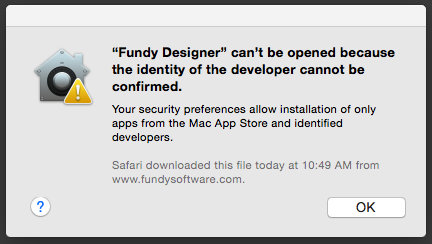 If you want to temporarily bypass this security feature, right click the Fundy Designer app icon. That’s a two-finger click on a Macbook trackpad, a Control-click on a single button mouse, or the right mouse button on a multi-button mouse. Click Open in the pop up, contextual menu, and then Click Open in the dialog box (if prompted, enter an administrator name and password), which will tell you that the app you’re trying to open is from an unidentified developer. Once you choose to Open it this way, the app will no longer trigger a Gatekeeper warning. For more information about Apple OS X Gatekeeper Click Here.